Founded by Michael McDermant and Joe Sawada in 2003, FreshBooks offer easy and convenient way to bill client (create invoices) from any place and one of the best accounting software for small business. You can create invoices of your work or order and directly send it to your client in minutes which nearly saves hours of extra work in month. Why you should choose alternatives to FreshBooks? Payment notifications to client along with due date or overdue alert to billing date. That would have needed if you don’t want to remind your client again and again by sending series of invoice of same work. Customer service is crucial so you can get instant information about almost anything. Customer support is not always trustworthy and you are advised to seek some expert reviews or customer feedback about the product you are going to choose. UX/UI has a tremendous role in increasing your day to day productivity. You may find FreshBooks more competent and reliable in terms of creating/modifying/managing invoices over others. OK. What are the Freshbooks alternatives? Billdu is an all in one invoicing software that enables to generate more customized and user friendly invoices from your system, be it Windows or Mac as well as from your smartphone device. 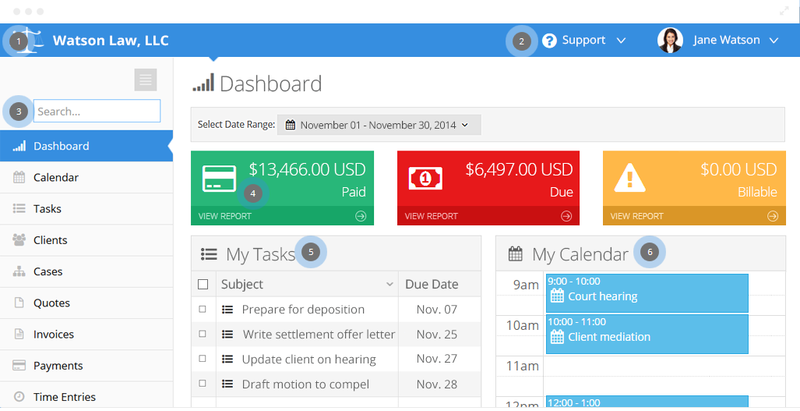 Billdu is relatively more safer & faster than any other invoicing software in the world. From the list of offers Billdu provides, we'd like to highlight few of them such as creating invoices online while sitting anywhere/anytime, billdu app that helps you generate invoices on the go, can work offline too and more. One of the major things about best invoicing software that it should be simple and straightforward. 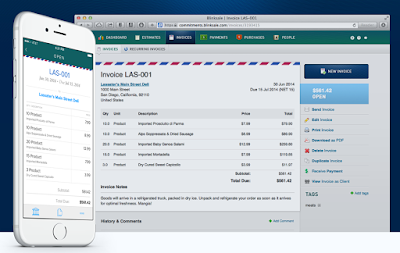 Better Invoices seems doing good work and lets you create invoices in simple steps. Simple on screen forms along with step by step tutorial to complete your invoicing procedure is worth noticing. Simple steps to create invoices in minutes. Just fill the details along with description of work and click on ‘Send Invoice’, your invoice copy will be sent to client. PayPal option available along with various other payment options but signup is required (don’t worry, it’ll not ask you for billing details). 2048-bit encryption which increase the security and ultimately, your trust towards sending and receiving payments. What I don’t like in ‘Better Invoice’ is lack of support details, no number nor support emails etc. anywhere on the page. However, it’ll be your best small business accounting software to go after if you are already an expert and don’t need helping hand anymore. Perfect fit for small or mid-size businesses that wants timely payment and avoid chasing clients for long. 21 ‘Pay Me Now’ standard features that you can integrate with every invoice that not only save time but compel clients to make the payment at the earliest. Track sent invoices along with status that it has been received as well as opened or not. Automatic reminder after predefined date and time. You’ve no longer needed to request for payments multiple times. Let’s your client see the invoice status (weather it’s paid or due) at single place. One step further in creating professional invoices and best replacement of freshbooks. Designed for everyone from large or mid-size businesses to freelancers. Complete solution of sending invoices with all the possible payment options connectivity. You can use their App to send invoices even on the go or without physically visiting to your desktop/laptop. Dedicated client portal and multi-currency as well as multi language support. Free invoice tracking and online payment options for freelancers. I can see the INVOICERA doing great job at delivering the best invoicing application and multiple integration give an added advantages to businesses with varied needs. Impressive GUI and better UX makes me satisfied to give it a try. I’m already using Hiveage for creating invoices for over 1.5 years and would freely suggest anyone to use it from freelancers to whole group of enterprises. Easy collaborations between client and you unlike FreshBooks, smooth payment options and instant help on request are the capable reasons that helps you choose Hiveage over FreshBooks. Detailed reports explaining working hours and total money you’ve earned out of your work. Easily integrated or upgraded with your current invoicing system. Flexible pricing: $6.95 for month or $69.95 for whole year. Collect amount of work and estimate total budget you are going to bill clients. This will facilitate smooth and hassle free way for clients to keep track of work records and hence, easily release the payment before or on due date. Set reminders and successful payment response for which, your client will always love you. Basic interface with loving and caring invoice creation process you could hardly found in FreshBooks. You’ll need to sign up with Invoice Machine before you may able to use it. I didn’t like this approach as a customer point of view and you can’t simply force customer to fill details before you actually decide that which one you are going to use. 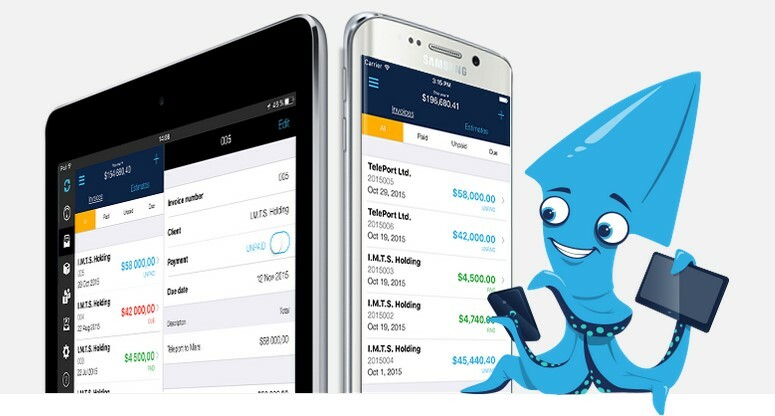 One of the best online accounting software in the list that has whooping, over a million subscribers. Unlike FreshBooks, XERO has no bar in creating unlimited Invoices filled with tons of HTML and CSS customization templates that appeals your client well. XERO could be a perfect alternative of FreshBooks for users looking for different and easily customizable invoices. Apart from that, XERO has almost the same invoice tracking technology and accessibility on the go along with added payment sorting options to categorize latest transactions right in front of your eyeballs. Expensify makes it easy for you to receive payments in multiple ways. Direct bank transfer is recently added to Expensify along with acceptable currencies increased to 160 with capability to add VAT/GST/HST. Excluding invoice creation, you can also manage expenses made by any employee or import list of card transactions at a single place which help you further analyzing data sets and better business goals. Expensify gives you more functionality and enhanced capability of creating invoices. Affordable Invoicing software in the list that lets you start at as low as you pay for a cup of coffee. Web presentation of this accounting software is eye catching and delight you further when you begin using it. Typically it requires only few basic inputs and you’re good to go. Creating intuitive and eye catching invoices in today’s market. If you want to receive money against your work faster and in steady manner, you’ll need to choose any best invoicing software among the list. Invoicing is critically important for client as well who wants proof or detailed charges for which, they are going to pay you. You can visit the invoicing software website anytime and check out the pricing and other plans which helps you decide the better one. If you’re using different invoicing software or would like to put your own thoughts/experience about any of the invoicing company, you are free to post comment below. Go ahead and check out these invoicing software and decide the best one for your business! !